Rosemary Overall and Tony O’Shaughnassy from The Culbone. 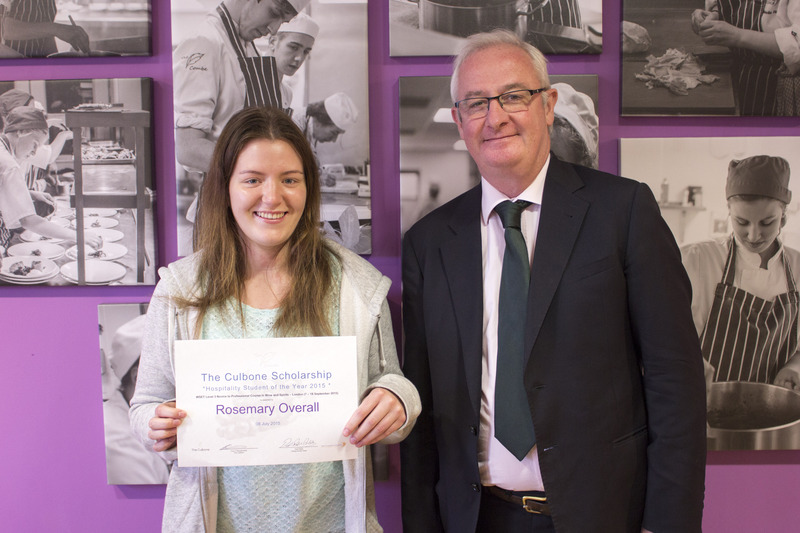 Last week, West Somerset College’s hospitality student Rosemary Overall was presented with the inaugural The Culbone Scholarship for Hospitality Student of the Year. Rosemary, who is in her last year at The Combe training restaurant in Minehead, was chosen for her commitment and keen interest, both in the kitchen and front of house. A few months ago, Tony O’Shaughnassy, the owner of The Culbone on Porlock Hill, had contacted the The Combe to find a way to support outstanding students in the hospitality sector, to help develop young people in an industry which is so vital to Exmoor. Finally, the idea for the scholarship was born, a suitable student found and the scholarship’s finer details developed. 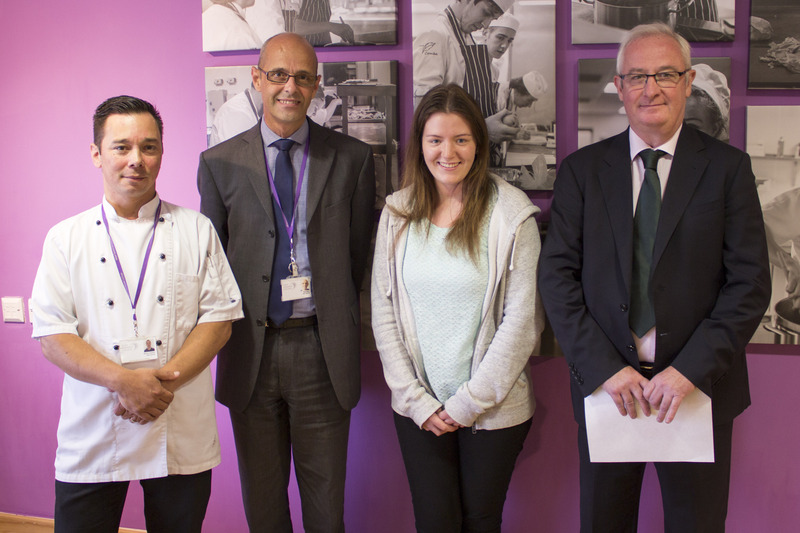 Tony presented Rosemary with a certificate in The Combe in the presence of Paul Gibbs, Acting Faculty Leader, and Werner Hartholt, Chef Lecturer. The scholarship will take her to the London School for Wine and Spirits in September to do a two-week WSET Level 3 course. It also covers travel, accommodation, pocket money and dinner with Somerset Life’s Food Editor, Susan Clark, in one of London’s top restaurants. The Combe students will join The Culbone team for a special event later this year.